Teenage swimming star Amy Marren’s quest for gold at the Rio 2016 Paralympic Games has been given a huge boost by Romford’s official Nissan retailer. 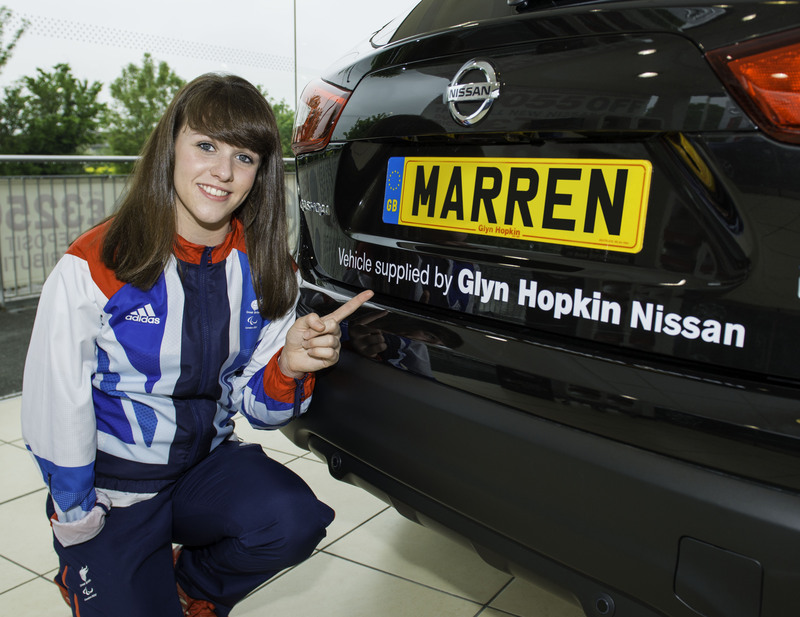 Glyn Hopkin Nissan on London Road has provided the 15 year-old from Hornchurch – one of the youngest members of ParalympicsGB’s squad at London 2012 – with a new Nissan Qashqai. The car will be driven by dad Andrew and mum Jo-Ann as they clock-up thousands of miles a year driving the Hall Mead School pupil to and from training sessions and competitions across Europe. It will take a huge financial pressure of the family’s shoulders and allow Amy – the reigning SM9 200m individual medley world champion – to focus her attention on achieving her Paralympic dream. Having finished fourth in the 100m backstroke and 100m freestyle at London 2012, at the tender age of 14, and won four golds at the 2013 IPC Swimming World Championships, Amy is hotly tipped for success at the Rio Games. The partnership between the dealership and Amy was formed through Nissan’s role as the Official Automotive Partner of Team GB and ParalympicsGB on the road to the Rio 2016 Olympic & Paralympic Games. As part of this, Nissan has launched the innovative #UniteAndExcite campaign which will provide fans with exclusive behind-the-scenes access to athletes’ stories and news of how Nissan’s innovative technology could improve performance. Fraser Cohen, Managing Director of the Glyn Hopkin Group, said: “We are absolutely thrilled to be able to support Amy on the road to Rio and I’m sure both she and her family will absolutely love the car. “Amy’s family are long standing and valued customers of Glyn Hopkin Nissan and so being able to help them cope with Amy’s demanding schedule is a real pleasure.